Data showing the link between a highly educated nursing workforce and better patient outcomes and fewer safety issues influences the trend towards higher education. Arkansas is one of many states that emphasize the preparation of more nurses with a bachelor’s degree in nursing (BSN) or higher. Almost 45% of nursing graduates in Arkansas are prepared at the baccalaureate level. The other 55%, who select associate’s degree programs due to time or financial constraints, are encouraged to complete the BSN through RN-to-BSN programs later on. The Institute of Medicine’s 2010 report, The Future of Nursing: Leading Change, Advancing Health, recommendation to have at least 80 percent of nurses baccalaureate prepared holds weight with hospital employers as many seek to improve the quality and strength of their nursing workforce. The prevalence of community colleges offering the associate’s degree in nursing (ADN) in Arkansas speaks to the relevance of the degree in producing graduates to meet the perplexing shortage of capable health care providers. The two-year program keeps a steady stream of new nurses in the pipeline – although they’re unable to replace the experienced nurses going out through retirement or other reasons. For adults looking to benefit from an in-demand profession, the ADN degree is the fastest route to becoming a registered nurse. The financial commitment is significantly less than it takes to complete a BSN degree, and this appeals to prospective students who may not qualify federal grants or other avenues of financial aid. 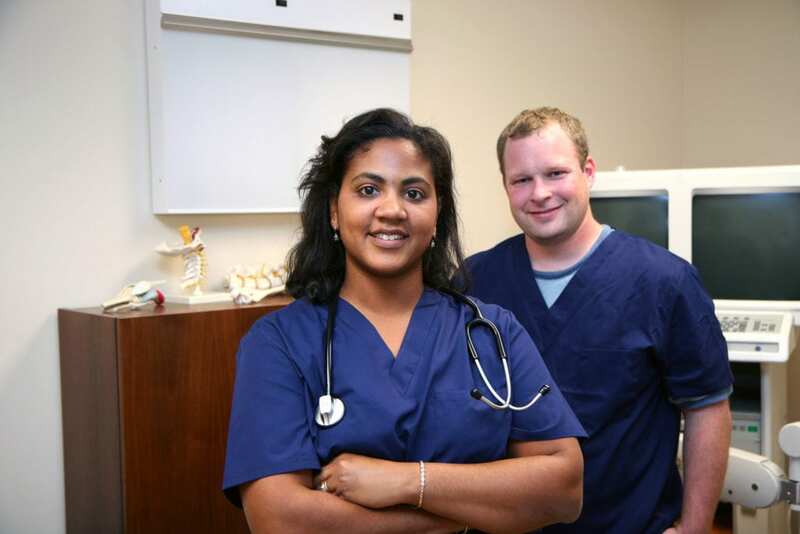 The ADN program provides students with sufficient training for entry-level nursing practice. They develop the clinical skills to supply competent bedside care but they do not have the critical thinking and leadership skills to analyze complex situations. Therefore, the associate’s degree, should not be the final educational destination for any nurse. Continuous learning is essential within the profession as nurses must keep abreast with changing technologies and practices in the delivery of patient care. Registered nurses need a baccalaureate degree to grow in the profession. While the associate’s degree supports the development of clinical skills for entry level practice, the baccalaureate degree, made available to registered nurses through the RN-to-BSN program, gives graduates greater insight to the social, economic, cultural, and political factors that influence the delivery of healthcare. The program includes additional coursework in critical thinking, leadership, and administration and lays the foundation for future study. More and more hospitals are going after Magnet Recognition from the American Nurses Credentialing Center (ANCC). Among the set criteria for achieving Magnet status is for nurse managers to have a BSN degree or higher. This requirement confirms the quality and competency of the nursing workforce in the nation’s hospitals and sets the bar high for hiring new nurses to fill positions from bedside care to administration. Of the 35,000+ registered nurses in Arkansas, less than 35% are qualified to meet the vacancies for BSN-prepared nurses in state and private hospitals. The IOMs recommendation for better-educated nurses is also affecting other areas of healthcare, as other employers are also requiring seeking out BSN-prepared nurses to improve patient outcomes. The shortage of nurses has a decided impact on the current workforce. Apart from working longer shifts, the nurse to patient ratio is at an all time high. Nurses are forced to do more with the resources available. Licensed practical nurses and nurse aides provided much-needed support in times past, but budget cutbacks have forced them out of acute care and into long-term care settings, placing further burdens on registered nurses. BSN RNs are better equipped to prioritize, lead teams, and delegate in these trying situations. Ongoing education helps nurses stay up-to-date on healthcare trends, approaches to patient care, policies, treatments, and techniques. Professional development is essential for continuity and excellence in care. As employers recognize the relation between continuing education and patient care outcomes, they are more apt to support nurses in their quest to improve knowledge and competencies. The acuity of patients and complexities of chronic and acute diseases require nurses to be well-prepared through the baccalaureate and graduate level programs and other opportunities for professional development. Associate’s degree nurses who take this progressive step have a greater chance of becoming leaders in the profession. Supervisory or management roles in nursing almost always require a BSN degree at minimum. Even an experienced ADN-prepared nurse must take a step towards the BSN to qualify for the position, especially for Magnet designated hospitals where the nurse managers are required to have a BSN or higher. An experienced nurse who takes an early initiative pursue the BSN can be a part of the small pool of candidates to assume a managerial position when it becomes available. The nursing shortage doesn’t mean automatic employment for every nursing graduate. A flood of graduates emerging from the associate’s degree program question the reported shortage when they encounter the roadblocks on the way to employment. Employers want to recruit and retain the best nurses – even in the height of a profound nursing shortage. That often means hiring a BSN-prepared nurse or an ADN RN who is committed to getting a BSN within a stipulated timeframe. Since employers equate professionalism, commitment to patient care, leadership, proficiency, competency, and expertise with education, getting a BSN might be the key to landing the best jobs. Nurses have to respond to a plethora of challenges arising from the ever-changing complexities within healthcare. Changing policies, increasing accountabilities, and state and federal regulations push nurses to their limits in the delivery of safe and quality patient care. The BSN curriculum emphasizes safety, efficiency, and quality in practice, enabling graduates to transition from bedside care to administration and other areas of practice. It reinforces the need for career development, use of technology, leadership, critical thinking, research, and evidence-based practice, so graduates more readily embrace graduate study to prepare for specialization and advanced practice. Nursing is a constantly evolving and complex profession. To cope with the front-line challenges and consumer expectations, nurses must be confident in their abilities and open to collaboration with the patient care team to obtain the best possible patient outcomes. Those who commit to improving their practice to through lifelong learning reap a lasting and rewarding career. The online RN-to-BSN program enables professional development through its flexible learning format, so graduates are able to assume a more viable role in the healthcare system. The RN-to-BSN program gives registered nurses who have a diploma or associate degree in nursing an opportunity to expand their education through flexible online learning. The total credits to complete the BSN will depend on previous college credits. Registered nurses practicing with a diploma in nursing may need to complete prerequisite hours. Due to the experience gained through practice, the curriculum will reduce the nursing clinical hours students need to complete. However, there will be provisions made for students to complete the required clinical hours to meet their individual learning goals. Most students are able to complete the BSN requirements in two years based on full-time attendance. Key benefits of the program include flexibility in scheduling for working nurses, completely online learning, and a fast-paced option for those who want to complete BSN in the shortest possible time. Educational expenses will depend on the RN intended course of study based on the previous coursework completed. An accurate outline of expenses will be provided during the application and acceptance process. The tuition and fees outline on the school’s website will be based on the online delivery of content for the RN-BSN program. Enrolling in traditional classes will attract an additional cost. The average cost of tuition is $283 per credit plus expenses and fees.